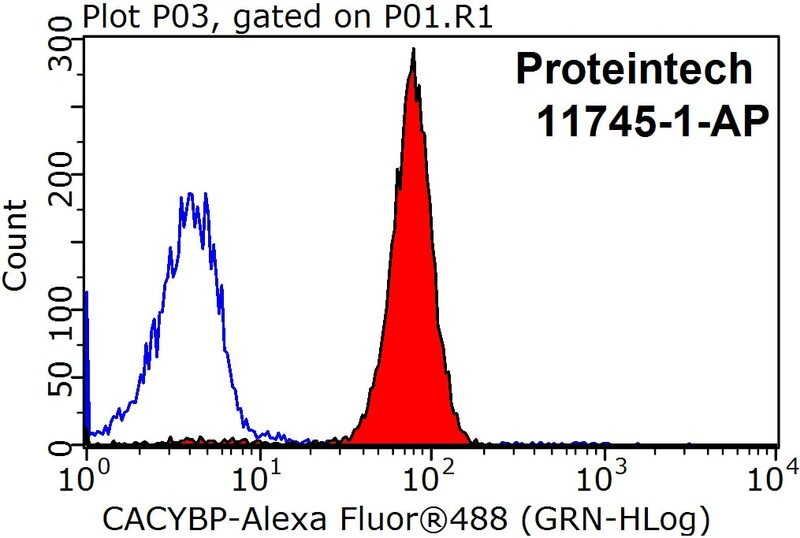 Immunofluorescent analysis of HepG2 cells, using CACYBP antibody 11745-1-AP at 1:25 dilution and Rhodamine-labeled goat anti-rabbit IgG (red).Blue pseudocolor = DAPI (fluorescent DNA dye). 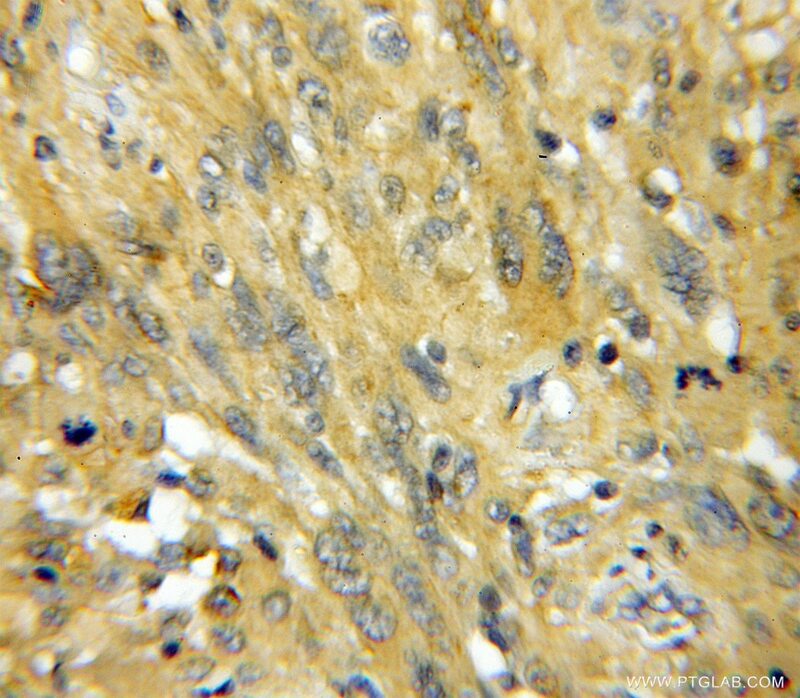 IP Result of anti-CACYBP (IP:11745-1-AP, 4ug; Detection:11745-1-AP 1:1000) with mouse brain tissue lysate 4000ug. 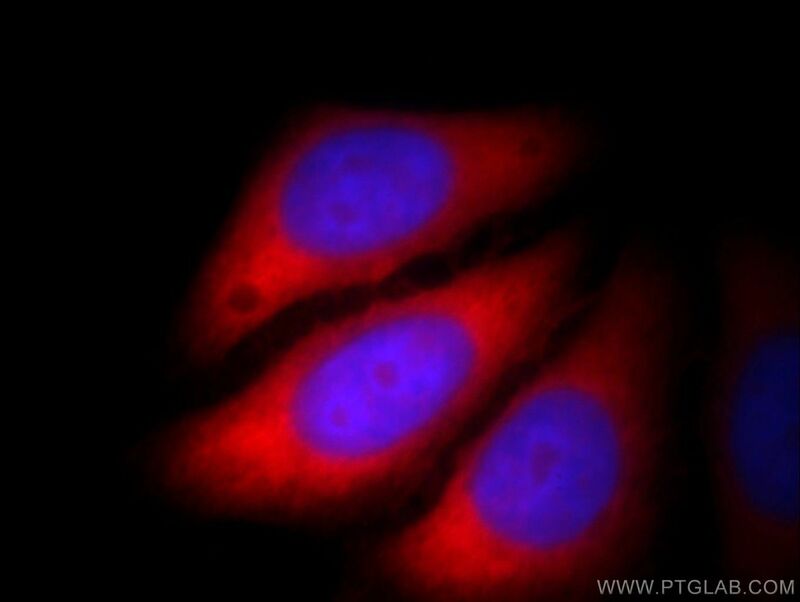 1X10^6 HeLa cells were stained with 0.2ug CACYBP antibody (11745-1-AP, red) and control antibody (blue). Fixed with 90% MeOH blocked with 3% BSA (30 min). Alexa Fluor 488-conjugated AffiniPure Goat Anti-Rabbit IgG(H+L) with dilution 1:1500. 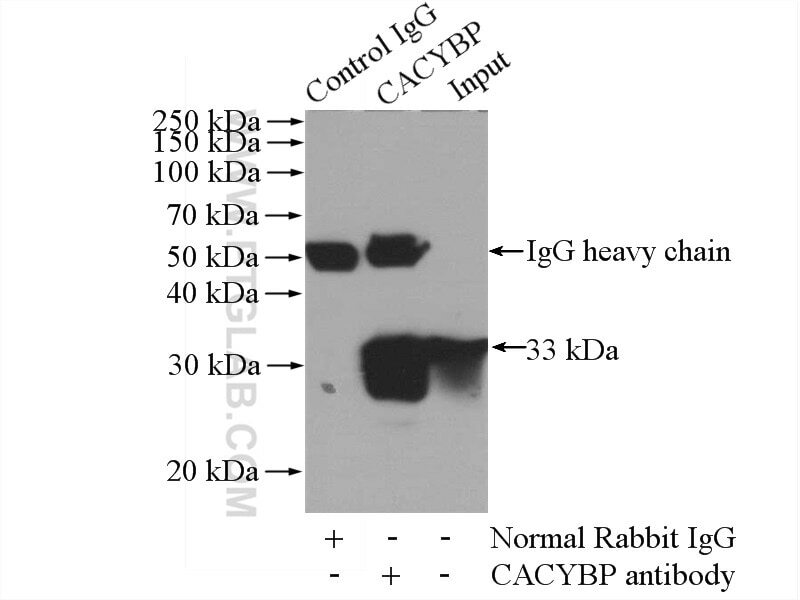 CACYBP(Calcyclin-binding protein) is also named as S100A6BP, SIP. 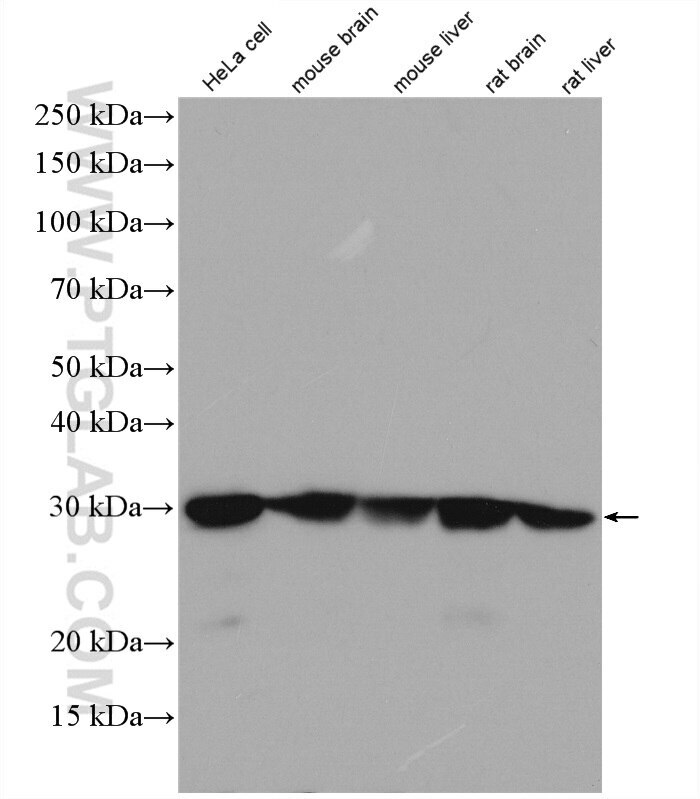 It is a new target 30 kDa protein that can interact with S100 proteins, including S100A6, S100A1, S100B, and S100P, but not to S100A4, calbindin D, parvalbumin or calmodulin(PMID:22295074). It may be involved in calcium-dependent ubiquitination and subsequent proteasomal degradation of target proteins and probably serves as a molecular bridge in ubiquitin E3 complexe. It has 2 isoforms produced by alternative splicing and can exsit as a dimer(PMID:17916393).